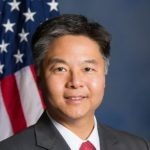 Democratic Congressman Ted Lieu, a former military prosecutor who knows the law inside and out, put some of his legal expertise on display in front of the television cameras on Friday, when he hammered Acting Attorney General Matt Whitaker over what the Constitution actually says. Now Lieu is upping the ante by going directly after Donald Trump. After Matt Whitaker’s embarrassing testimony went completely off the rails, Donald Trump decided to try to change the subject with a Twitter rant about how great North Korean dictator Kim Jong Un is. The whole thing was disgusting, even by Trump’s historically low standards. Ted Lieu wasn’t having any of it.